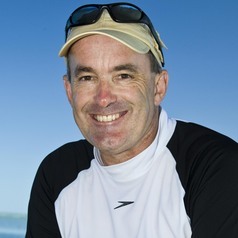 Ove Hoegh-Guldberg (BScHons., Sydney; PhD., UCLA) is founder and inaugural Director of the Global Change Institute and Professor of Marine Science and Deputy Director of the Centre for Excellence in Coral Reef Studies based at University of Queensland. He was made an ARC Laureate Fellow in 2013. Ove Hoegh-Guldberg's research interests are focused on environmental change and marine ecosystems. He is one of the world’s most cited authors on climate change with more than 19,500 citations from >350 peer-reviewed papers, books and patents. Ove is also the Coordinating Lead Author for the ‘Oceans’ chapter of the Fifth Assessment Report of the Intergovernmental Panel on Climate Change. Ove Hoegh-Guldberg is passionate about communicating science. Working with Sir David Attenborough, Sylvia Earle, Tom Brokaw, Philippe Cousteau and others, Ove has strived to take education beyond the walls of academia to millions. In 2014 alone, he educated over 2000 students through a massive open online courses. He has received the Eureka Prize, a Queensland Premier’s Fellowship and the 2014 Climate Change Award (Prince Albert II, Monaco), and is a member of the Australian Academy of Science. He is also Chief Scientist of the Catlin Seaview Survey (www.catlinseaviewsurvey.com), which is producing the largest baseline of coral reef health globally (www.globalreefrecord.org). University of California at Los Angeles (UCLA), Ph.D.